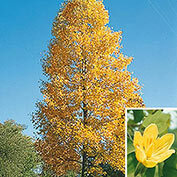 Tulip Tree | Gurney's Seed & Nursery Co.
An elegant, eye-catching specimen that holds its own in the largest yards. Sunshine yellow, tulip-shaped flowers in late spring. Glowing yellow foliage in fall. Fast growing to 50-80 ft. Zones 4-9. Height: 70 - 150 feet. Spread: 35 - 50 feet. 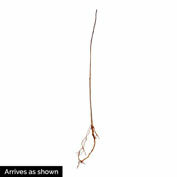 Foliage: 3 - 8 inches long and wide: somewhat maple-shaped with flattened end. Flower Form: Magnolia type flower. 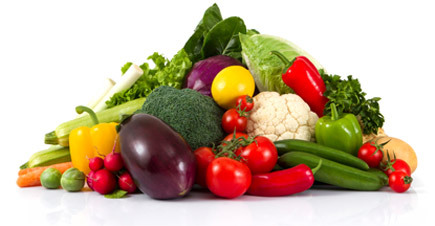 Soil Requirements: Deep, moist, well-drained, slightly acidic loam soil. Growth Rate: 2 - 3 feet per year. Pruning: Prune in late Winter if needed. Size: 1 1/2 - 3 1/2 inch blooms. Comments: If heavy soil, add peat, dehydrated cow manure, or compost. Hold tree in hole with previous planting stain at ground level. Spread roots, add 1/2 of the soil, compact, complete filling, compact, and water well. May take up to 10 years to flower. 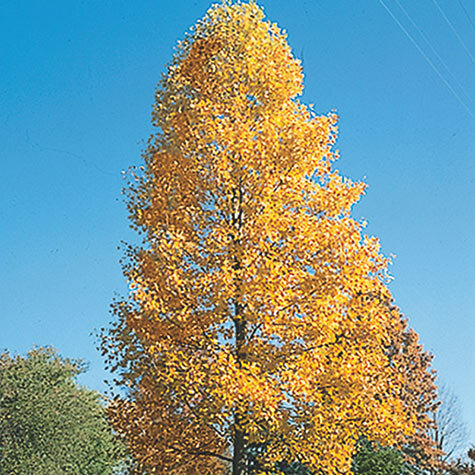 Foliage turns golden-yellow in Fall. Because of it's large size, it is not a tree to be planted next to a house, or in a small landscape. Official state tree of Indiana, Tennessee and Kentucky. On the preservation list in Arkansas, Mississippi, and Missouri.